I mentioned the blocks before, when they were in progress. Now that I've done the set, I get to do the ta-da post at last! 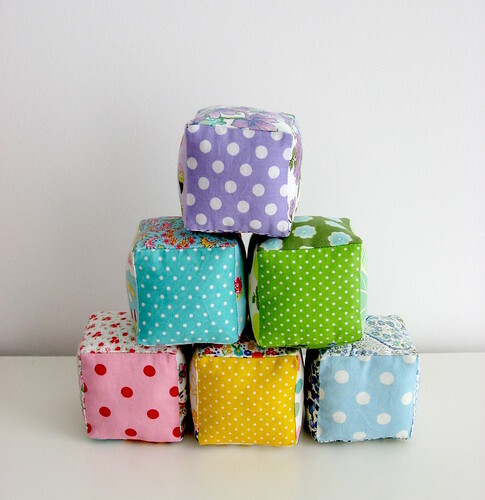 Following this tutorial, I made six stuffed fabric cubes: one blue, one turquoise, one pink, one green, one yellow, and one purple. 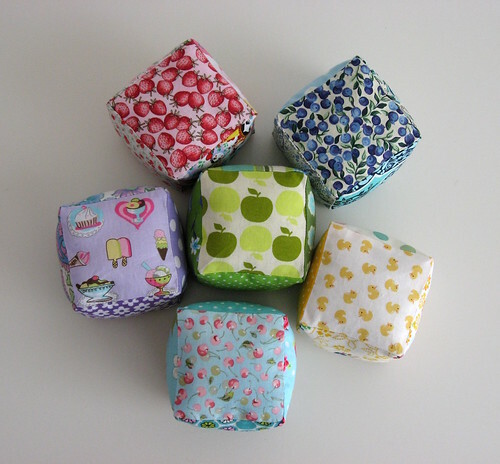 Each cube uses six fabrics, so they're different on every side. I'm hoping that Bun will find the blocks interesting to look at, and later, fun to play with. 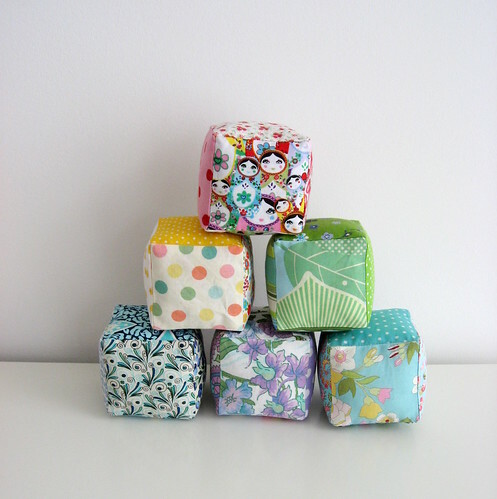 Picking out the different fabrics to compose the cubes was a huge amount of fun. After doing the first couple, I noticed I had some themes going, so I tried to keep that for all the cubes. Accordingly, each block has at least one dotted side and one food side. 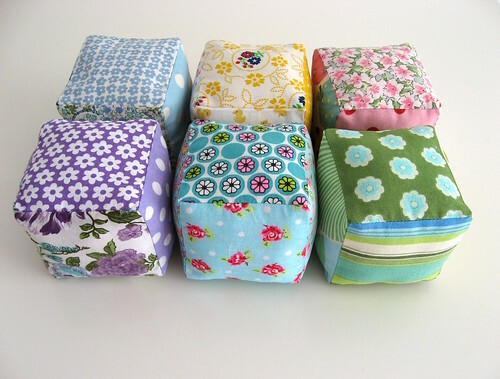 I originally wanted a fruit side, but I couldn't find any fabrics (locally) for the purple or yellow cubes. Instead, the purple cube got a fun dessert print that I found in several colourways at the Lapjesmarkt, and I stretched my definition of food to include the ducky print, even though they're really more like rubber ducks! And just for good measure, here's another picture of some of the other sides. So much fun fabric to play with! And one more, in pyramid form! 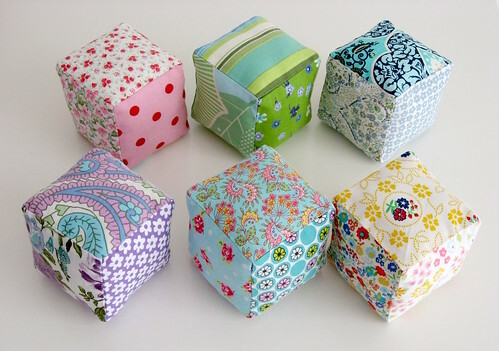 Yes, I think I must be nesting to get this excited over some stuffed fabric cubes. But if you have a small person in your life, then these were both simple and fun to make. These are gorgeous! So inspiring. I've got to go make some new ones now... mine are boring compared to yours! !